Few vegetables survive extreme temperatures as well as tomatillos. Tomatillos thrive in blistering heat and store well in sub-zero temperatures. 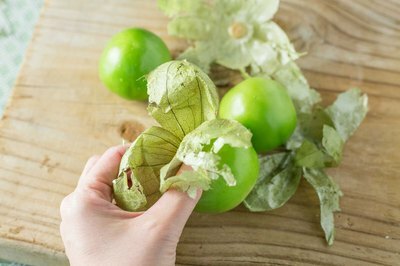 Tomatillos are almost always eaten cooked -- heat tempers their sharp bite -- so you can't detect the softening that naturally occurs with freezing when you eat them in a salsa, stew or curry. 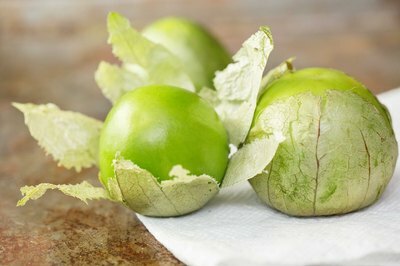 After you thaw tomatillos, use them within 24 hours and don't refreeze them. Pull away the papyrus-like husks sheathing the tomatillos and rinse them under cool running water. Tomatillos secrete a tacky fluid that acts as a natural insect repellent, and you may need to scrub them with a vegetable brush while rinsing to remove it. 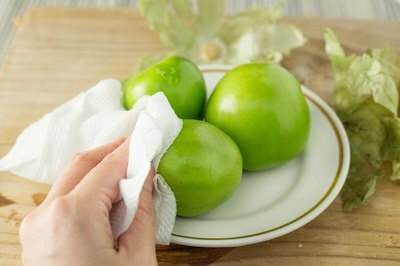 Dry the tomatillos with paper towels and arrange them on a rimmed baking sheet. Place the baking sheet in the freezer. Chill the tomatillos until frozen solid, about 2 hours. 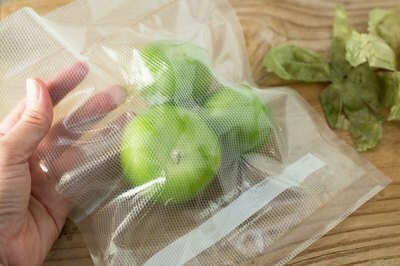 Pack the tomatillos in heavy-duty freezer bags. 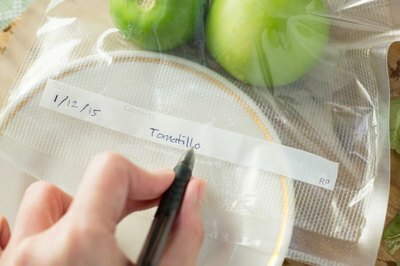 Label the bags with the date and return them to the freezer. Use the tomatillos within one year for best quality. The Kitchn: Why Are Tomatillos Sticky? Who knew making restaurant-quality salsa at home would be this easy? A few simple ingredients makes a great salsa.